SKU: CHM-TRISK. Category: Earrings & Charms. The triskele is one of the oldest symbols created by mankind. 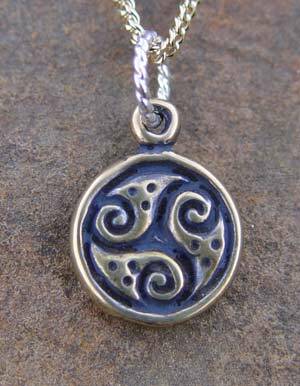 Any history buff will love a Triskele Charm! Our Triskele Charm is available in both bronze and silver and comes with an 18″ silver or gold toned steel chain.